Getting your driving licence is a milestone, so in order to ensure that you pass your test the first time round, it’s important to pay attention and save yourself from wasting time and money. We all hope to pass our driving licence first time! Remember, everybody is very nervous when they do their driving licence test which admittedly can and does cause many failures, but being nervous can also make us super-alert, which is a very good thing. No matter how desperate you are, never ever consider buying your licence, even if you have already failed a few times. Rather use the money you were thinking of paying to buy a licence to book lessons with a registered driving instructor. This will help you understand the K53 standard correctly and you will have a much better chance of passing. Many unregistered “instructors” will cheat you and rob you, sometimes demanding that you pay a bribe to pass, leaving you without a licence and very frightened on the road. This is a shortcut, and may help you to get a job but it is a very bad idea. The Company will soon find out you cannot drive and that will not be good for you. You could be fired and get a very bad record or even a criminal record. You could easily be killed unless you know what you are doing when driving, or worse – you could kill someone else. Do not go to a driving school to learn tricks to pass. Go there to learn to drive defensively so that you will be able to keep yourself, your babies and children and your vehicle safe for the rest of your life when driving, even when other drivers drive dangerously around you. Do not learn in a truck if you want to drive a car because it is “easier to pass”. 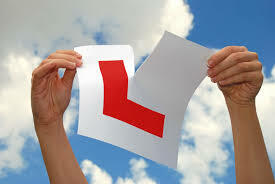 Rather learn in a sign-marked driving school insured and roadworthy car which is fitted with dual controls. For light motor vehicles you may not exceed 50 points in the yard (consisting of exterior checks, interior checks, alley docking from left and right (2 attempts each permitted), parallel parking from left and right (2 attempts each permitted), the turn in the road (three-point turn) (1 attempt permitted) and incline start (If you stall, but do not roll, you may try again more than once). On the road test there is a minimum test route permitted. The test route will be for a minimum of 21 minutes and a maximum of 45 minutes. You may lose 8 points per minute. So, for example, a test route of 21 minutes times 8 = 168 points maximum which may be lost. Any black squares are automatic failures. These include rolling in the opposite direction to which you intended to drive, mounting curbs, touching obstacles (poles), mounting the curb (spelt “kerb” on the test sheet) or more than the permitted number of attempts.